As the year comes to a close I find myself reflecting on what Scouting has been and can be. In doing so, one central premise stands out, as Scouts we must continue to be clear about the values we uphold and the unity in diversity we represent, because these underpin the choices we make. I recognize that through Scouting we are all united by a common goal and life philosophy. 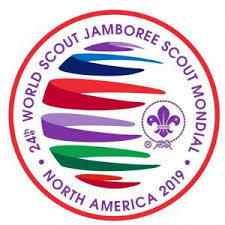 Scouting, like many families in our country, has members of various generations, social backgrounds, cultures and religions, all with their own hopes and dreams, talents and skills. We might not all speak the same language, but we all speak the same morals and values as underlined in our Promise and Laws. Promoting the spirit of giving, enhancing confident leadership and teamwork abilities, boosting youth and adult volunteerism and strengthening social harmony are but a few examples of what our programmes strive to address. What we all aim to do as Scouting members, regardless of where we reside. Thank you to all our Cubs for doing your best. Thank you to our Scouts for being so eager to learn and to be prepared. Thank you to our Rovers for being of service to your communities and congratulations on a successful Rover Centenary! 100 years of Rovering was a milestone not to be forgotten. To our Scouters, trainers and all our adult volunteers a heartfelt thank you. I admit that volunteering – at times – can be challenging and a real test of character. Especially when things don’t work out as we expected, we might struggle to see, or even begin to question, how much of a difference we’re actually making. Today I am telling you that the difference you make is enormous. You are making a positive impact on the lives of others, you are giving them something to look forward to after a week of hard work, you are giving them a place where they can be themselves, grow and have fun with like-minded people. 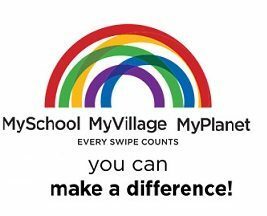 To our district, regional and national volunteers thank you for all the time, thought and effort you are making with the aim of changing lives. The concept of “strength in numbers” is something that most of us would agree is a powerful approach when striving to make a positive difference in our world. Scouts worldwide have taken on the challenge to use our programmes to address the Social Development Goals. 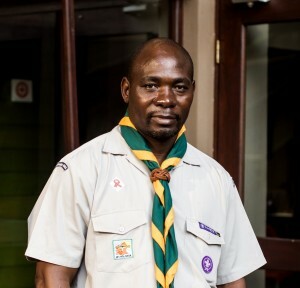 With over 40 million Scouting members, of which over 190 000 live in South Africa, let’s show our country how united we stand as Scouts as we step into 2019. Let’s all include addressing poverty, climate change, gender equality and mutual respect and understanding in our programmes. Let’s continue to work as a family to leave this world a better place than how we found it.